Game developer MGFM is the product of Michael Manning, a freelance designer that’s worked with “games studios such as Rare, Sumo Digital, Jagex, Big Robot and Santa Ragione.” Brute was made independently alongside fellow graphic and sound designer Tyler Barber, who helped with both art and music. Fortunately for players, exceptional sound design does not take anything away from the well-executed mechanics of this game. 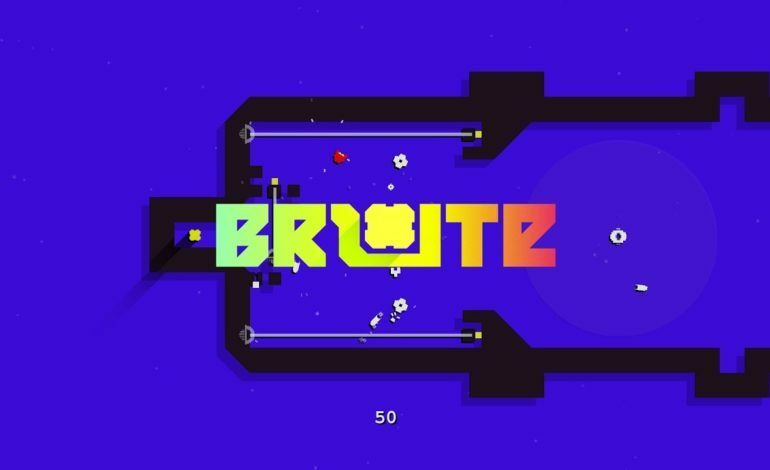 In Brute you’re basically a beefier and (I dare say) a more brutal version of the Geometry Wars player-character. Your general shots fire and hit much harder which makes the compensation of your maneuvering a bit trickier. Movement in this game is made thrilling with unique and challenging level design, and this is a result of Manning’s love for games that focus on exploration and simulation. To celebrate the first year of release, the game is free on itch.io for PC until tomorrow. You can also donate through the itch.io page or purchase the game on Steam for $6.99. You should also check out the game’s original soundtrack.